Former longtime resident William Rinne started as a fisheries biologist for the U.S. Bureau of Reclamation and rose to serve as the agency’s acting commissioner. Along the way, he helped craft a sweeping, multistate program to protect both endangered species and the use of the Colorado River for water and power generation. He died Aug. 31 in Norwell, Mass., at age 68. Rinne grew up in Nebraska. He received a bachelor’s degree from Peru State College in Peru, Neb., and a master’s degree in zoology from the University of Nevada, Las Vegas. He spent 30 years with the Bureau of Reclamation, most of it in Boulder City, where he worked as a biologist, area manager and environmental officer for the Lower Colorado River region. It was there that he served as one of the architects for the Lower Colorado River Multi-Species Conservation Program, which was signed in 2005 and provides protections for sensitive plants and animals along more than 400 miles of the river, from the western end of the Grand Canyon to the U.S.-Mexico border. At the same time, the pact among local, state and federal stakeholders keeps the river free from conflict so water and power can continue to flow to Nevada, Arizona and California. “It’s probably one of the most innovative, proactive agreements anywhere in the U.S., and Bill worked on that from the very get-go,” said Bob Snow, an attorney for the U.S. Department of Interior who had worked with Rinne since 1996. Rinne was eventually called to Washington, D.C., to serve as the bureau’s deputy commissioner for operations and, eventually, acting commissioner for the entire agency until his retirement in 2006. “I bet he was the first deputy director in bureau history who was a fisheries biologist,” Snow said. After that, Rinne spent several years as water operations director for the Southern Nevada Water Authority and then moved to Massachusetts with his wife to be closer to their children and grandchildren. 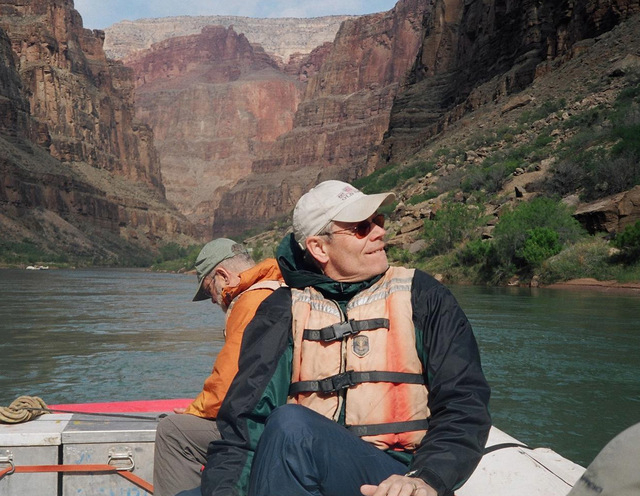 “While his knowledge of Colorado River issues was unsurpassed, it was Bill’s determination and calm demeanor that made him so successful,” Mulroy said. He is survived by his wife of 46 years, Janice; his son, Jeramie Rinne, and his wife, Jennifer; his daughter, Jill Stutz, and her husband, Chad; his mother, Mary; four siblings, Don, Russell, Jack and Rosemary; and seven grandchildren.